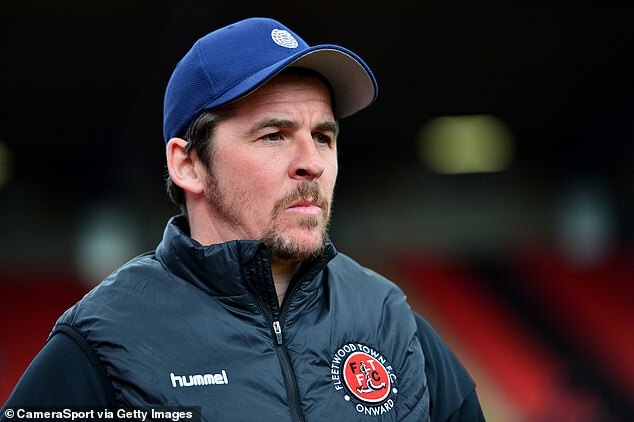 Fleetwood Town manager Joey Barton is being investigated by South Yorkshire police for allegedly assaulting his Barnsley counterpart Daniel Stendel after today’s League One match. 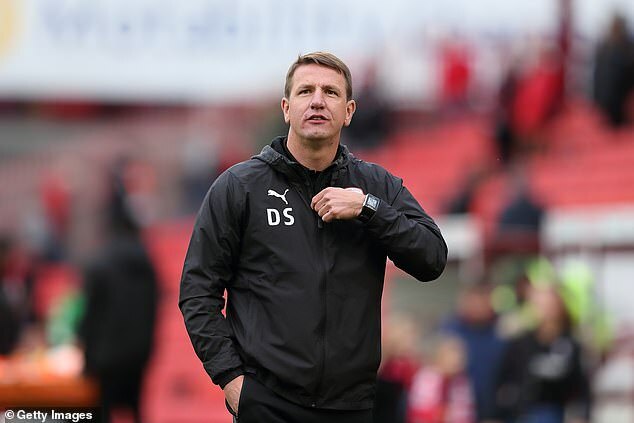 Barton was physically prevented from the leaving Oakwell by police after the match, which saw his Fleetwood side suffer a 4-2 defeat. 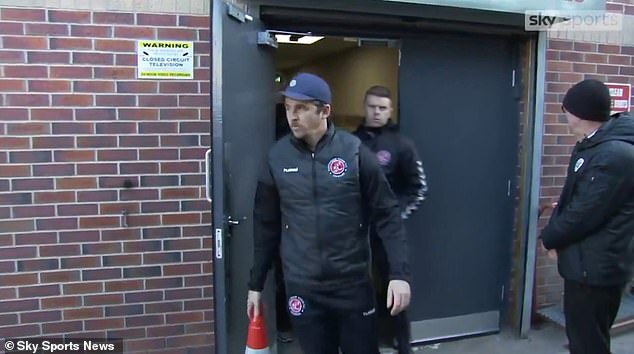 Sky Sports reported that the two managers to be separated by stewards and the police after coming together in the tunnel, which allegedly ended in the former Manchester City player assaulting Stendel. 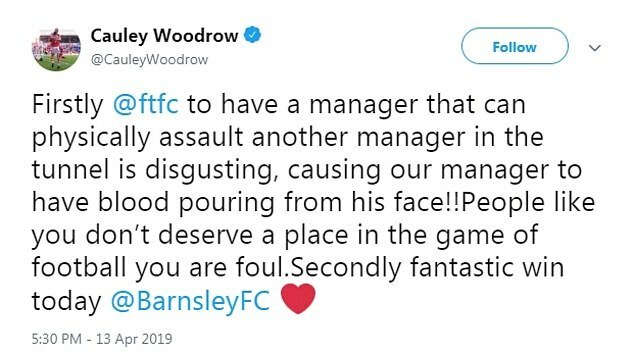 One of the home side’s goalscorers, Cauley Woodrow, wrote on Twitter that the Barnsley boss had ‘blood pouring from his face’ and that the attack was ‘disgusting’, before later deleting the tweet. Woodrow tweeted: ‘Firstly @ftfc to have a manager that can physically assault another manager in the tunnel is disgusting, causing our manager to have blood pouring from his face!! 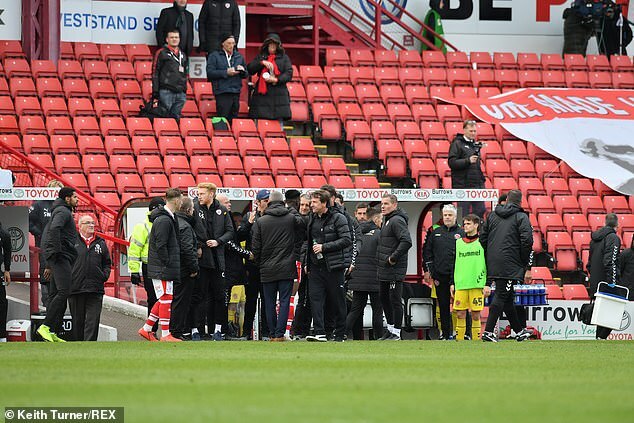 Neither side fulfilled their post-match media duties at full time, but Barnsley confirmed that an incident took place and that it was being investigated by South Yorkshire Police in a club statement. The statement read: ‘The Club can confirm there was an alleged incident in the tunnel area that took place following the conclusion of today’s match, which South Yorkshire police are currently investigating. The result leaves the Tykes five points off league leaders Luton in the third tier, while Fleetwood stay 11th.